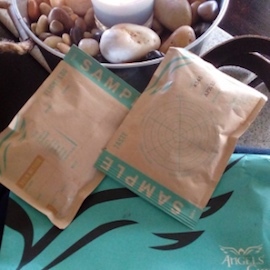 Angels' Cup: The Cupping Flight - Maximum variety for minimum cost. 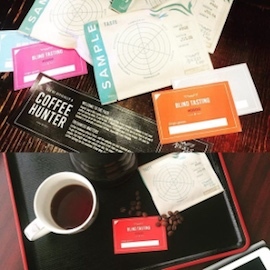 Try up to 208 coffee samples this year with plans starting for only $10.99/month. 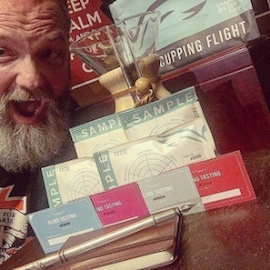 Don’t let the small size fool you, the Cupping Flight was specially designed for serious coffee people and professionals. The 32g samples are the perfect size for a coffee cupping, you can make two 8oz cups with just a few beans leftover to flush your grinder. It’s also the perfect size to make a giant 16oz mug if you want to drink a new coffee every day or sample coffees before buying a whole bag. 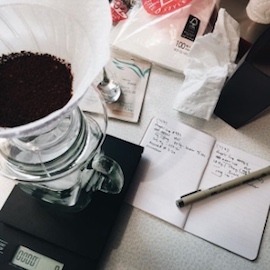 The Cupping Flight makes trying new coffees super easy and affordable. You have everything you need and nothing you don’t. 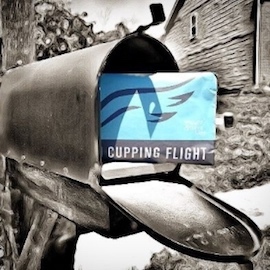 If you’re serious about coffee, the Cupping Flight is an excellent choice. 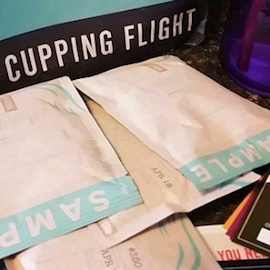 Each flight includes 4 coffee samples, shipped to you within days of being roasted. 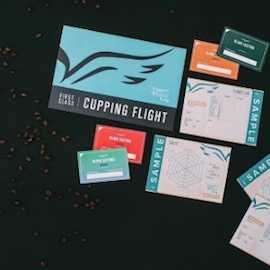 Each sample contains 32g of coffee, so there’s 4.6oz total in each tasting flight. 32g of beans makes 16 fl oz of brewed coffee, enough for a big mug or a cupping. 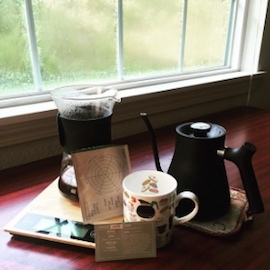 Skip coffee school, join Angels' Cup, and keep those tastebuds sharp. Blind tastings every week is a challenge you can’t resist. You never settle and love trying new things. You'll never get bored when your mailbox is overflowing with new coffees to try! 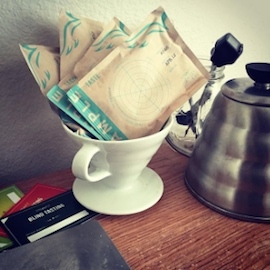 Coffee clubs are popping up everywhere. Start your own, or just turn your next party into a coffee tasting!